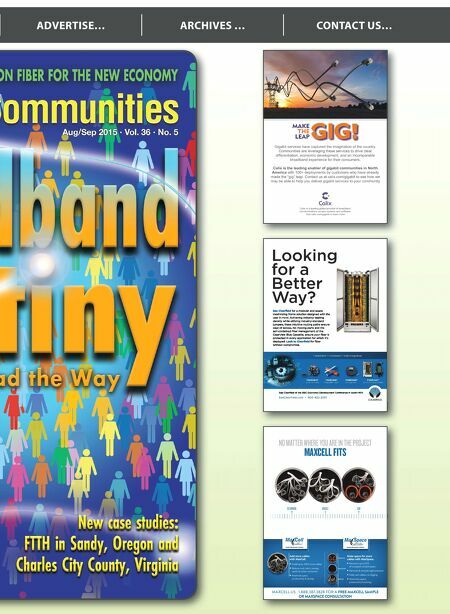 WEBSITE … 2016 BBC SUMMIT … SUBSCRIBE … Give residents all they're looking for with AT&T U-verse ® from AT&T Connected Communities. When they have digital TV, high-speed Internet and Wi-Fi service, more people will be coming to your property. And more will be staying. 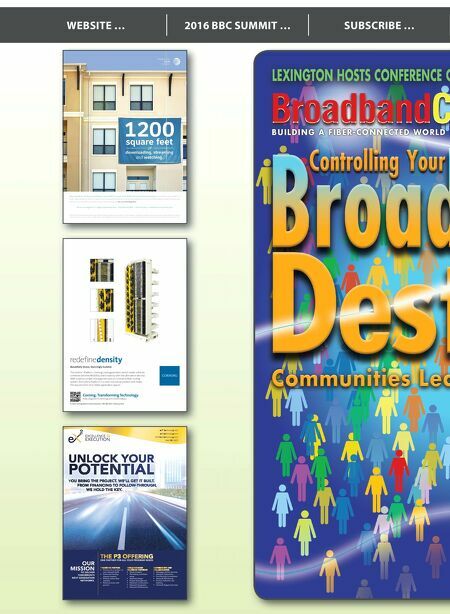 Learn how you can attract more residents and earn more revenue today at att.com/livedigitally. All-in-one digital TV • High-speed Internet • Total Home DVR ® • Wi-Fi access • Additional income for you AT&T U-verse High Speed Internet service requires AT&T Wi-Fi gateway. Credit restrictions apply. Up to $99 installation charge applies. Geographic and service restrictions apply to AT&T U-verse services. Call or go to att.com/u-verse to see if you qualify. AT&T U-verse: Residential customers only. Credit restrictions may apply. Pricing, programming and features subject to change at any time without notice. • Finance all or portion of your network build • Grant and funding request support • Market excess fber capacity • Revenue share with partner • Route Analysis • Permitting and Make- ready • Network Design • Project Management • Network Construction • Network Integration • Network Maintenance • Managed and Lit Services • Network Operations • Pre-Planning Consultation • Network Monitoring • Product Selection and Delivery • Network Support Services OUR MISSION TO DELIVER TOMORROW'S NEXT GENERATION NETWORKS. ONE PARTNER FOR ALL YOUR PROGRAM NEEDS eX 2 Technology LLC ex2technology.com info@ex2technology.com 844-392-2872 © 2015 Corning Optical Communications. CRR-380-AEN / February 2015 Beautifully Dense, Stunningly Scalable The Centrix ™ Platform, Corning's next-generation switch center solution, combines extreme fexibility and simplicity with the ultimate in density. With superior jumper management and an innovative fber routing system, the Centrix Platform is a cross-functional solution that meets the requirements of multiple application spaces. © 2015 Corning Optical Communications. CRR-380-AEN / February 2015 http://opcomm.corning.com/CentrixBuzz Corning. Transforming Technology.